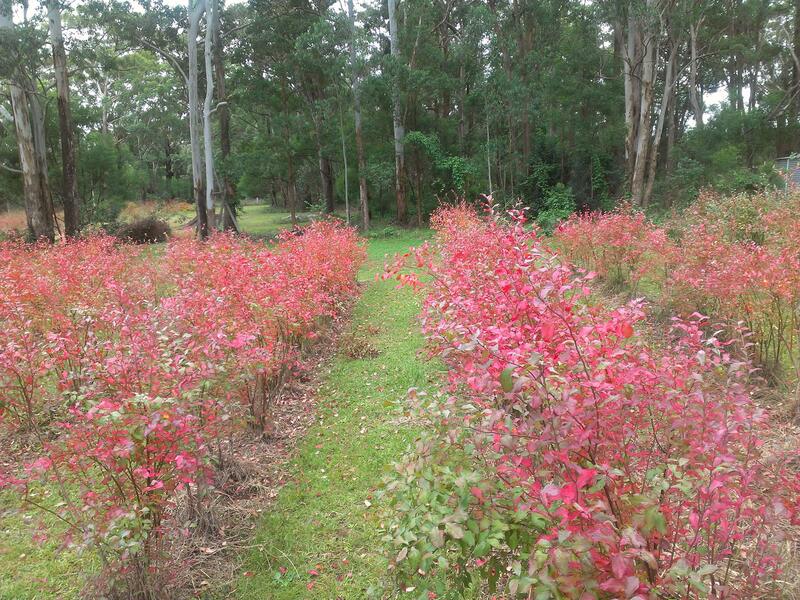 Blueberry Plants for Sale – Who wouldn’t want to be a blueberry grower?? We’ve currently got a few Alice Blueberry plants for sale. $12 per plant. They’ll grow well around Toowoomba in the acidic, good draining soil. If you’re interested please get in touch. In my view, the best tasting blueberry we grow. Old school variety but damn they taste good! They usually come into season around January – February. 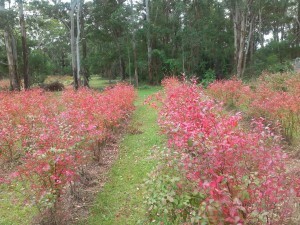 alice blue blueberries on the turn in autumn, they’ll grow over 2m if you let them.